If I had my way, I would eat steak, potatoes, cheese, bread, wine, and chocolate all the time in no particular order! I know this isn’t realistic or even possible, I wouldn’t be able to fit into my clothes if I ate this way all the time. 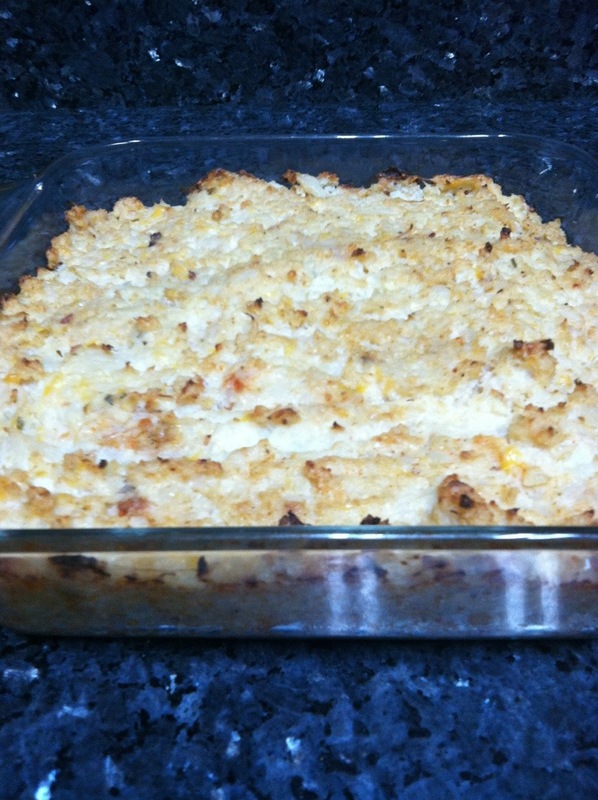 Last week I made mine and my husband’s new favorite side dish – mashed cauliflower! My husband hates cauliflower, but he loved this recipe! 1. Steam cauliflower for 30 minutes, drain. 2. Put cauliflower into food processor or a mixer until thoroughly mashed. 3. Add all ingredients and mix well. Give this recipe a try, it is so good, low-carb, and a great dupe for mashed potatoes! YAY a new veggie recipe to try!! Lovely. Thanks! Do you know the portion size and calories per serving? Thanks! I serve 1/2 c portions. I don’t know the calorie content. I know there are apps that can figure it out for you. I would guess 1 serving is under 100 calories. What could I use instead of greek yogurt? I made this and it was waaay too tangy since greek yogurt has a bite.